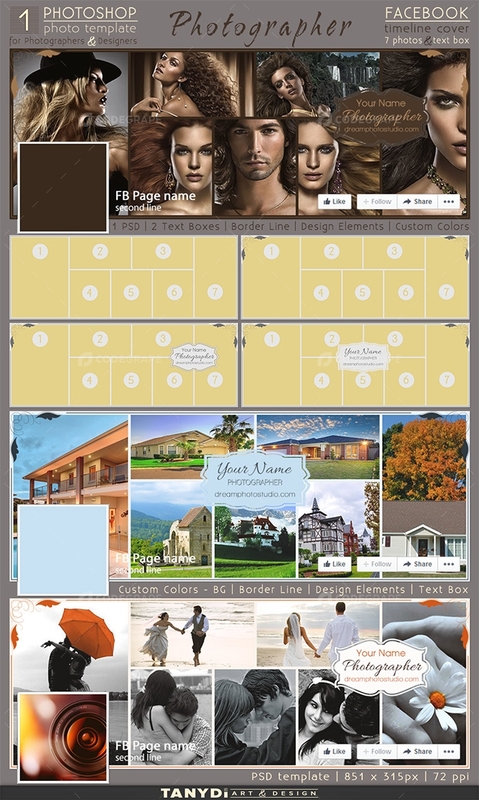 FB timeline cover for Photographers & Designers - ready to be customized and upload to your Facebook page. Advertise your artworks using professionally designed templates. Save your time and give your products the visual attention that they deserve. Photoshop Photo Templates are great to showcase online your artworks or photos on your Blog, Websites, Facebook, Pinterest, etc.